A flawless blend of comfort and convenience awaits at Courtyard Anchorage Airport. As the closest hotel to Ted Stevens International Airport, we provide free shuttle service to and from the transportation hub to take the stress out of your travels. Once you arrive at our hotel, retreat to relaxation in our stylish rooms. Plush mattresses, free Wi-Fi and flat-panel TVs with Netflix are sure to keep you comfortable and entertained. After a refreshing night's sleep, fuel up for the day with Starbucks coffee and breakfast sandwiches at The Bistro. Return in the evening for tasty entr es and signature cocktails. If you're on vacation, you'll only have to travel a few miles to visit Kincaid Park and Anchorage Museum. Business travelers will appreciate our close proximity to William A. Egan Civic & Convention Center, as well as our two meeting rooms. During downtime, stay active at our fitness center and enjoy a dip in our indoor pool. 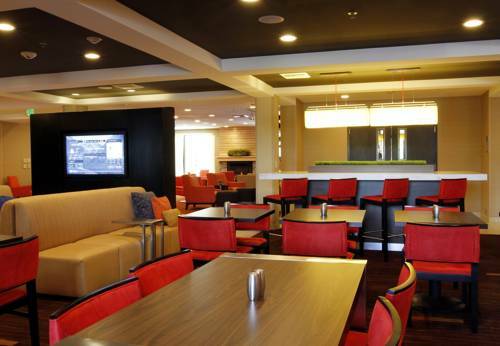 Make your trip worth remembering when you stay at Courtyard Anchorage Airport.